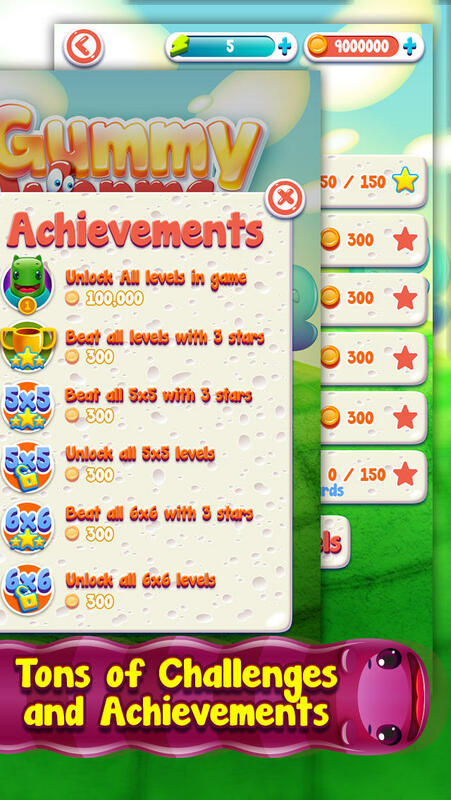 There are loads of levels, some more challenging than others. You must take these cute gummy worms and connect them to the candy of the same color. Connect all of the gummy worms and fill the board as much as possible. You will have a specific number of moves, the less moves you make the higher your score will be! Earn a perfect store by using the least number of moves and fill all the squares on the board. If you get stuck, don’t worry, you can get help with a hint. The most important step of all, have FUN! -Boards ranging simple to insane! -Race the clock or focus on covering the board. -Great graphics for you eye pleasing enjoyment. -Customize your experience by selecting packs that are as challenging or easy as you like!